New York-based Douglas Elliman Real Estate has selected Grey as its agency of record following a review. Grey will be tasked with developing a new global brand strategy, visual identity and digitally-led marketing approach for the real estate brand, which was founded in 1911 and has 113 offices across the country, followed by an extensive brand campaign. 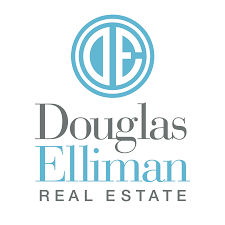 The work will touch on each of the regions in which Douglas Elliman operates. The client spent nearly $10.3 million on measured marketing in 2017 and almost $13.6 million in the first nine months of 2018, according to Kantar Media. “We are excited to begin working with the team at Grey. They demonstrated a deep understanding of our complex business, our brand’s legacy and our vision for the future,” Douglas Elliman president and COO Scott Durkin said in a statement. This is part of a larger effort by the client to expand awareness of its brand, especially in new markets beyond the high-stakes world of New York real estate. The company previously worked with New York-based AgencySacks. That shop created “It’s Time for Elliman,” its first-ever broadcast campaign, which broke in early 2017 but has since been retired. Not sure what our hero does, but he’s definitely not a junior account director because that’s a really nice apartment. 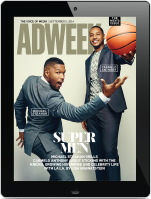 In November, the NFL ended its 10-year relationship with Grey amidst a creative review which ultimately saw the league select 72andSunny as its new agency of record. The same month, global CCO John Patroulis made his first round of executive hires, 18 months after arriving from BBH New York. The appointment also follows Grey New York hiring executive creative director Bernardo Romero away from FCB Health’s Area 23 last month.